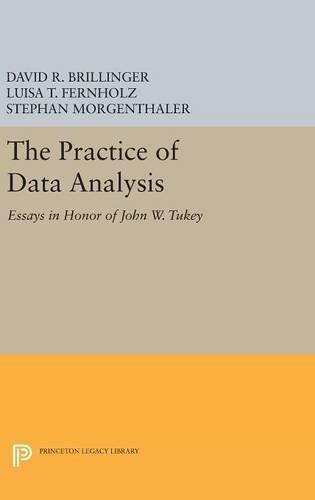 PRAISE FOR THE FIRST EDITION "THIS IS A SUPERB TEXT FROM WHICH TO TEACH CATEGORICAL DATA ANALYSIS, AT A VARIETY OF LEVELS. . . [T]HIS BOOK CAN BE VERY HIGHLY RECOMMENDED." SHORT BOOK REVIEWS "OF GREAT INTEREST TO POTENTIAL READERS IS THE VARIETY OF FIELDS THAT ARE REPRESENTED IN THE EXAMPLES: HEALTH CARE, FINANCIAL, GOVERNMENT, PRODUCT MARKETING, AND SPORTS, TO NAME A FEW." 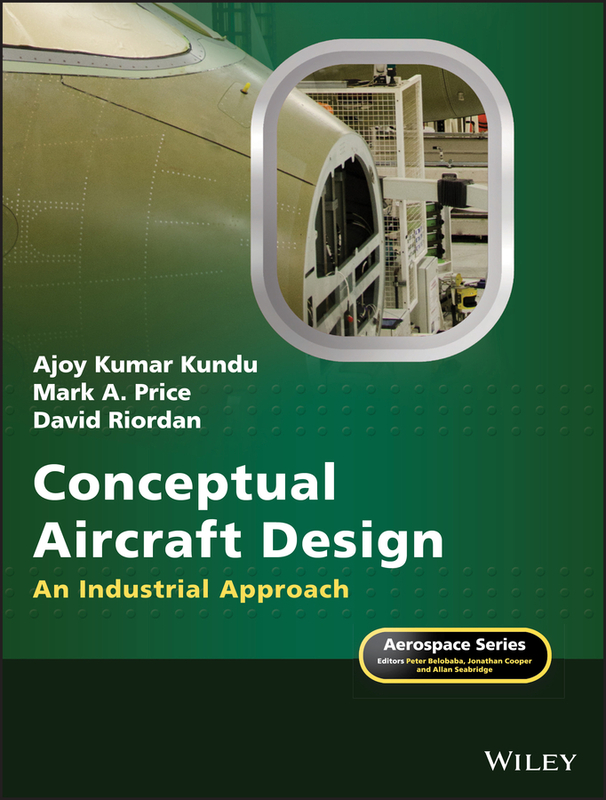 JOURNAL OF QUALITY TECHNOLOGY "ALAN AGRESTI HAS WRITTEN ANOTHER BRILLIANT ACCOUNT OF THE ANALYSIS OF CATEGORICAL DATA." THE STATISTICIAN THE USE OF STATISTICAL METHODS FOR CATEGORICAL DATA IS EVER INCREASING IN TODAY'S WORLD. 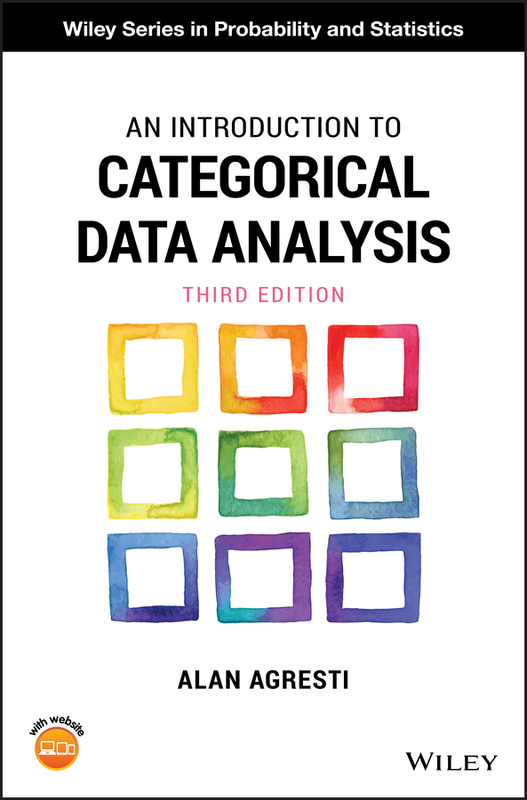 AN INTRODUCTION TO CATEGORICAL DATA ANALYSIS, SECOND EDITION PROVIDES AN APPLIED INTRODUCTION TO THE MOST IMPORTANT METHODS FOR ANALYZING CATEGORICAL DATA. 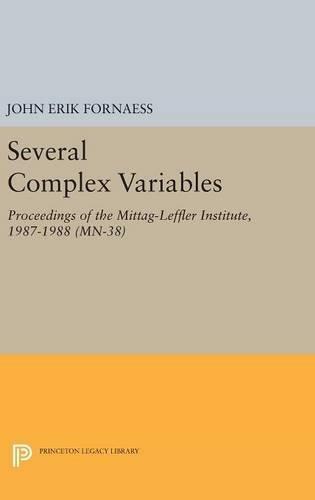 THIS NEW EDITION SUMMARIZES METHODS THAT HAVE LONG PLAYED A PROMINENT ROLE IN DATA ANALYSIS, SUCH AS CHI–SQUARED TESTS, AND ALSO PLACES SPECIAL EMPHASIS ON LOGISTIC REGRESSION AND OTHER MODELING TECHNIQUES FOR UNIVARIATE AND CORRELATED MULTIVARIATE CATEGORICAL RESPONSES. THIS SECOND EDITION FEATURES: TWO NEW CHAPTERS ON THE METHODS FOR CLUSTERED DATA, WITH AN EMPHASIS ON GENERALIZED ESTIMATING EQUATIONS (GEE) AND RANDOM EFFECTS MODELS A UNIFIED PERSPECTIVE BASED ON GENERALIZED LINEAR MODELS AN EMPHASIS ON LOGISTIC REGRESSION MODELING AN APPENDIX THAT DEMONSTRATES THE USE OF SAS(R) FOR ALL METHODS AN ENTERTAINING HISTORICAL PERSPECTIVE ON THE DEVELOPMENT OF THE METHODS SPECIALIZED METHODS FOR ORDINAL DATA, SMALL SAMPLES, MULTICATEGORY DATA, AND MATCHED PAIRS MORE THAN 100 ANALYSES OF REAL DATA SETS AND NEARLY 300 EXERCISES WRITTEN IN AN APPLIED, NONTECHNICAL STYLE, THE BOOK ILLUSTRATES METHODS USING A WIDE VARIETY OF REAL DATA, INCLUDING MEDICAL CLINICAL TRIALS, DRUG USE BY TEENAGERS, BASKETBALL SHOOTING, HORSESHOE CRAB MATING, ENVIRONMENTAL OPINIONS, CORRELATES OF HAPPINESS, AND MUCH MORE. 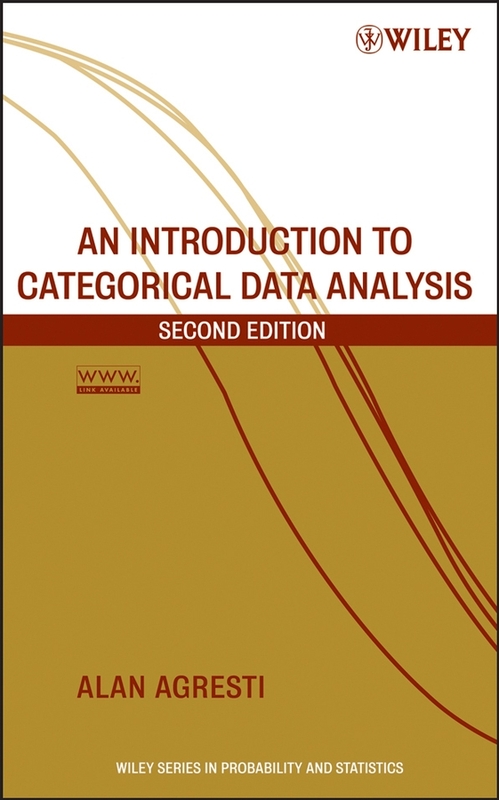 AN INTRODUCTION TO CATEGORICAL DATA ANALYSIS, SECOND EDITION IS AN INVALUABLE TOOL FOR SOCIAL, BEHAVIORAL, AND BIOMEDICAL SCIENTISTS, AS WELL AS RESEARCHERS IN PUBLIC HEALTH, MARKETING, EDUCATION, BIOLOGICAL AND AGRICULTURAL SCIENCES, AND INDUSTRIAL QUALITY CONTROL.